The coaching and mentoring profession is facing a major challenge — helping clients cope effectively with life’s complexities and conflicting demands in a rapidly changing environment. Conversations around work-life balance need to address the inter-connectedness of work, leisure, home, and social life, but also the fact that these elements are in flux and require continuous rebalancing. This book is a practical and evidence-based resource to help coaches and mentors in supporting clients to achieve greater work-life balance. Written by an experienced academic-practitioner team, this book provides coaches and mentors with a way of addressing work-life tensions with their clients. It is grounded in research and practice and offers a wide range of tools and techniques which are supported with real-life case studies illustrating how they can be employed. On top of this, readers are also supported with reflective questions to enhance understanding, and a series of downloadable worksheets for practical use. 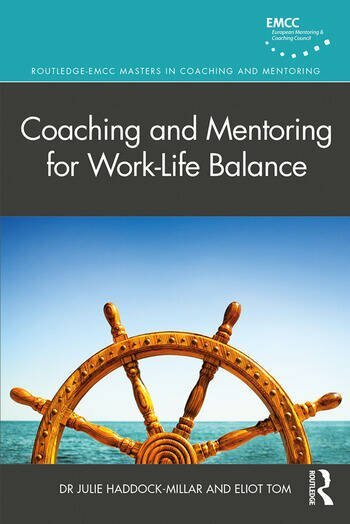 Coaching and Mentoring for Work-Life Balance is essential reading for professional coaches and mentors who are helping their clients to develop personal resilience and will also be a valuable resource for students on postgraduate coaching and mentoring courses. The authors present some of the latest thinking on this topic, underpinned by their own research and model for work-life balance, making the book indispensable to all those engaged in leadership, coaching, mentoring, and supervision. Julie Haddock-Millar is a Visiting Professor at the International University of Monaco, Associate Professor (Practice) of Human Resource Management, Senior Teaching Fellow, practising Coach and Mentor. Julie is a Chartered Member of the CIPD and EMCC Group Lead for ISMCP. Eliot Tom is a Graduate Psychologist (MBPsS), Management Consultant and qualified, practising Coach. She has a diploma with distinction in Coaching and Mentoring from an Association for Coaching (AC) accredited course.